Our apartments are "Feel-Home Apartment" high standard, with a timely flexible stay. We speak english, french, german, spanish and montenegrin. This a light one bedroom apartment for two persons. This very large and light two bedrooms apartment and is ideal for family accommodation, as it is almost entirely made up of spacious family suites offering two bedroom plus or a separate living area with one double bed that can be used for children or for adults. We focus on service, customer satisfaction and quality apartments. This fully air-conditioned one bedroom apartment has a modern feel and is ideal for congress goers, or for holidaymakers! Special discounted rates for Honeymooners! Budva is a coastal town is the centre of Montenegro's tourism, and is well known for its sandy beaches, diverse nightlife, and beautiful examples of Mediterranean architecture. This fully air-conditioned two bedroom apartment has a modern feel and is ideal for congress goers, or for holidaymakers! In the near vicinity of the town of Budva there are exclusive resorts such as town-hotel Sveti Stefan and Milocer,places frequented by various celebrities as well as local businessmen and politicians. Our apartments are "Feel-Home Apartment" – high standard, with a timely flexible stay. Exclusive, fully furnished, serviced one or two-bedroom apartment. Villa Mare is an family runned apartment house and with it’s three stars categorization is fully equipped for rest and the most demanding guests. 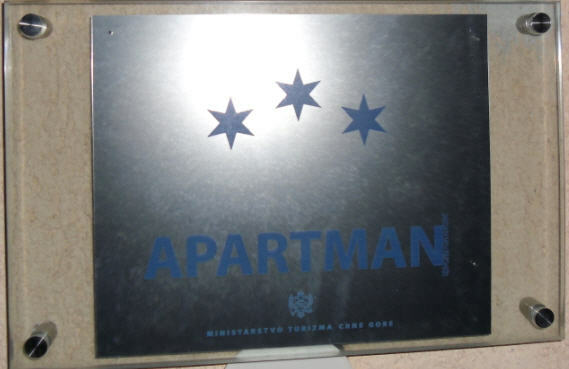 Villa Mare is an apartment building and it is located in the residential part of Budva. Because of its location apartments are ideal for rest and recreation. We speak english, french, german, spanish and montenegrin. We focus on service, customer satisfaction and quality apartments. 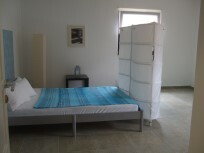 You can choose one or two bed-rooms apartment and rent it for one day or more days. Villa Mare is a magnificent and very spacious high quality villa is conveniently located in a nice and quite area of Budva, Montenegro, close to the lovely, safe sandy beach, numerous shops, two new supermarkets and good selection of restaurants. The apartments are modern equipped with the Mediterranean style and provide you with all comfort and service you need and give you the feeling of a sweet home with private atmosphere. The parking in front is free and secure, you can discover Budva by walking, Please noticed the taxi rates are cheap. Villa Mare is the best combination of low price and high quality and the ideal solution to live for one or more persons. There you can get everything necessary to feel yourself comfortable while you are staying in our city. ...read more.